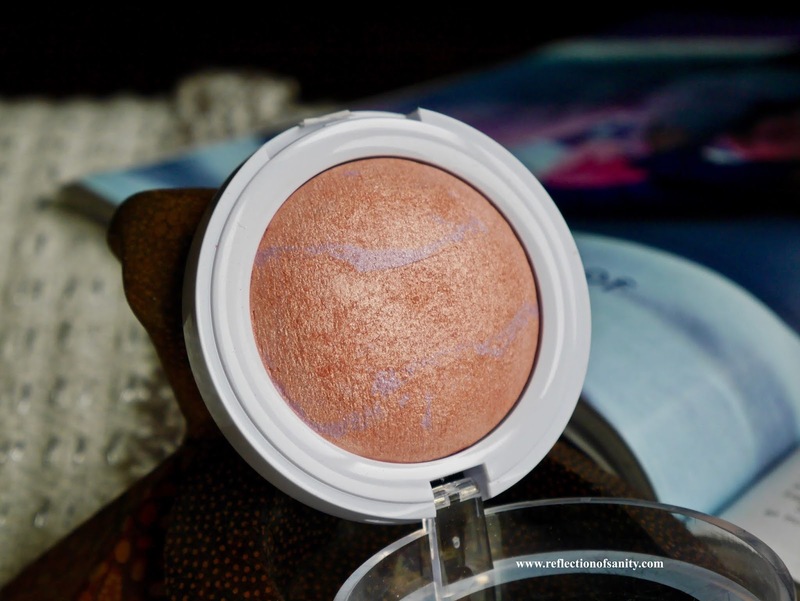 It has been ages since I did a smackdown post so today I thought I would share two products which are similar in concept and from two very different price ranges. 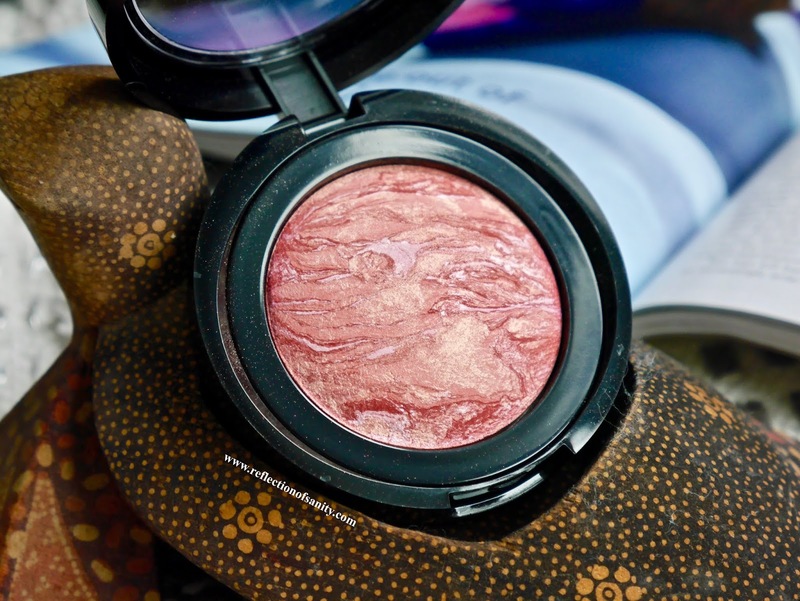 Shimmering blush toppers are not new in the beauty world but they are definitely very new in my routine. 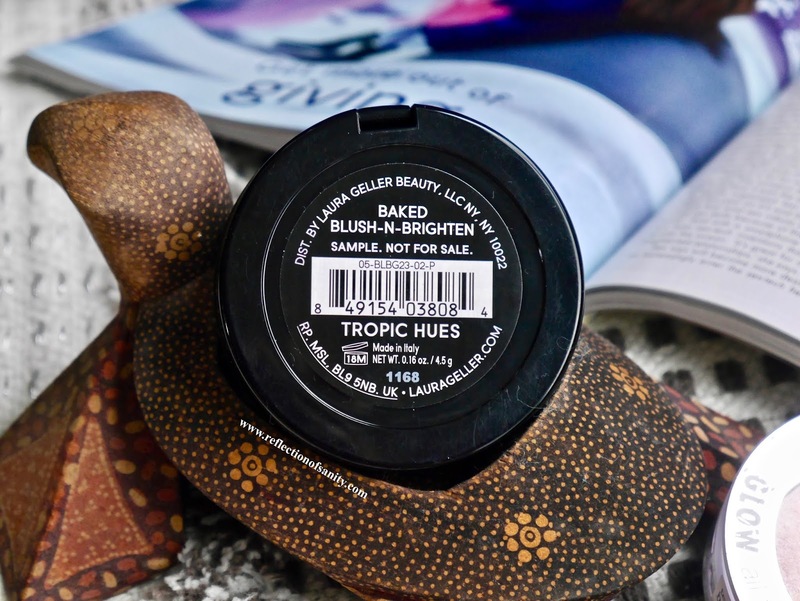 If you're not familiar with blush toppers, they are basically blusher and highlighter all in one. They are usually too sheer and shimmery to be used alone as blusher so they are best as finishing touches. 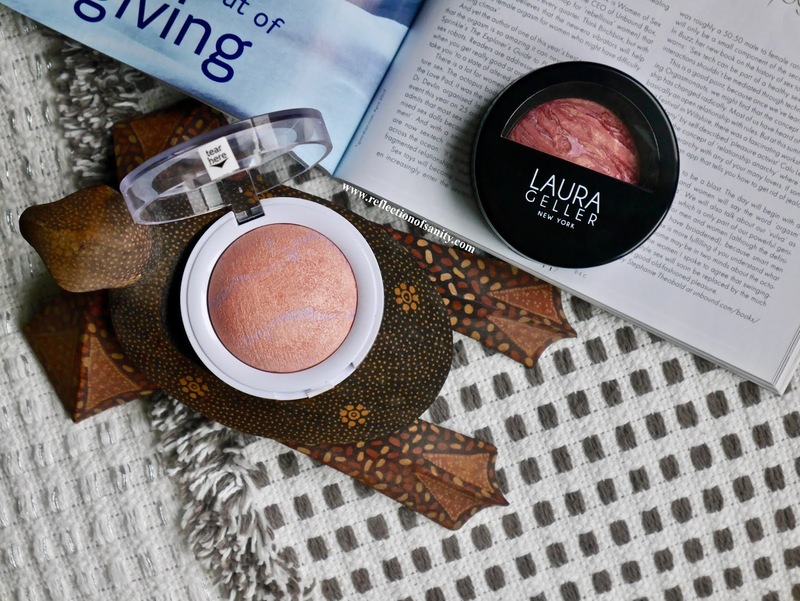 I received Laura Geller Baked Blush in shade Tropic Hues through my BoxyCharm (hands down one of the best beauty subscriptions in the market) and it instantly reminded me of my favourite Hard Candy Baked Blush in shade Honeymoon*. 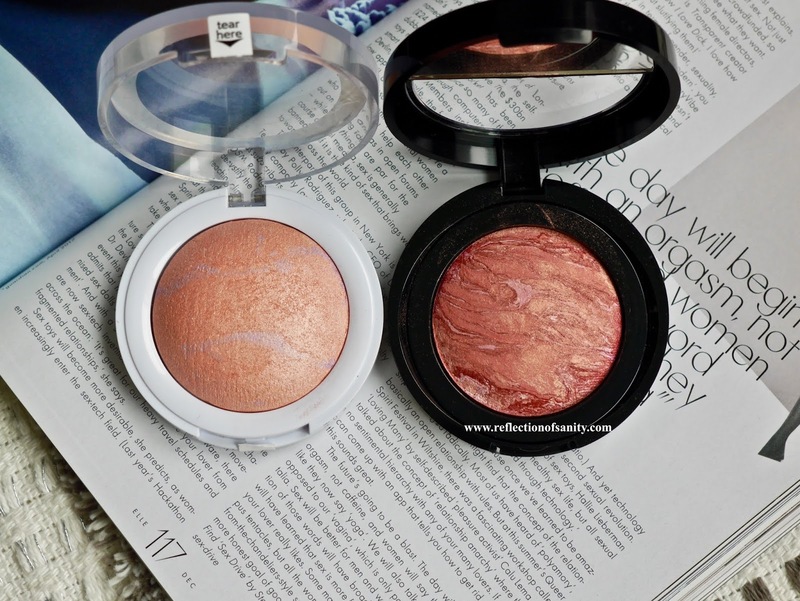 Both are baked blushers, both are intense as highlighters but sheer as blushers. The only difference is the shades themselves. 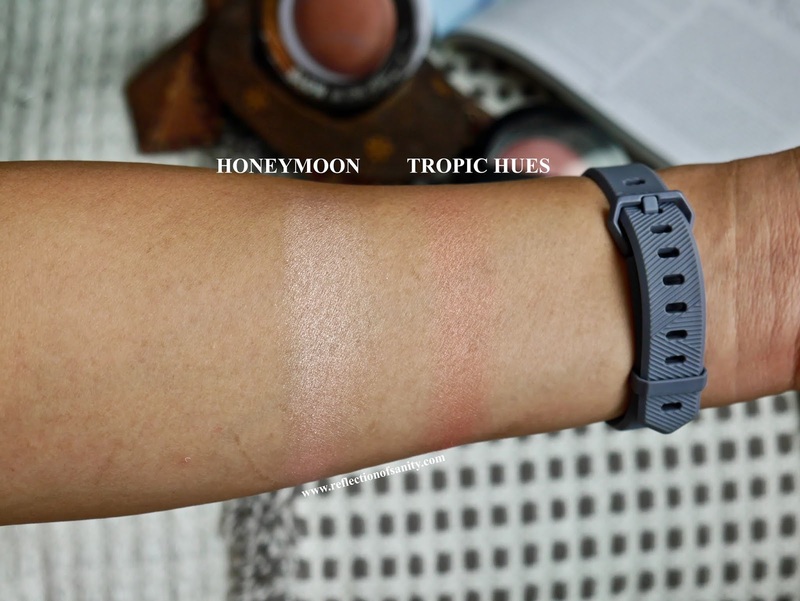 Honeymoon* is a pale pink while Tropic Hues is darker and more similar to Hard Candy Baked Blush in shade Living Doll which I don't have. No surprise here, you get way more product for a small fraction of the price with Hard Candy. 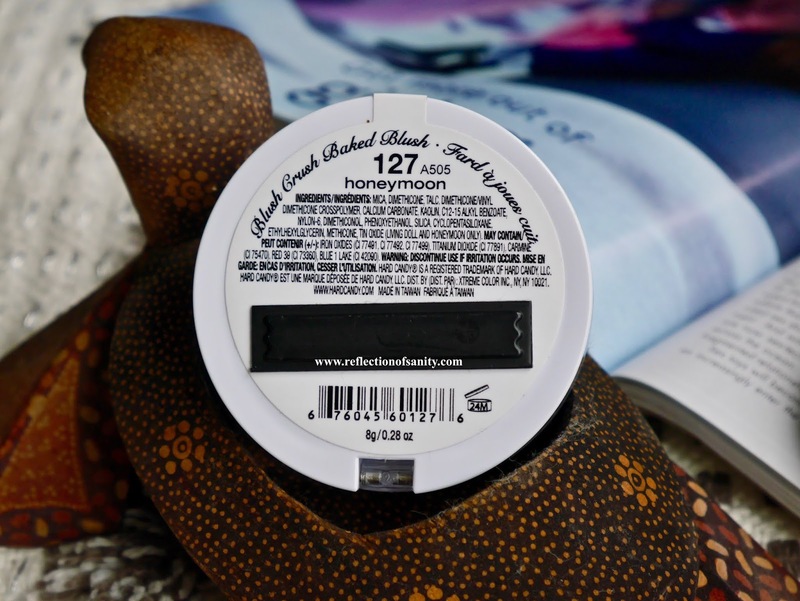 Both baked blushers came in a plastic packaging; a sleek, chic looking black for Laura Geller and white/silver for Hard Candy. There is no contest here, Laura Geller is definitely eye pleasing. The packaging for Hard Candy is filled with scratches despite me being very careful with storage and the silver side is slowly fading. It looks like I had this baked blush for many years instead of a mere few months. Now this is where it gets really interesting for me. I honestly thought I would love Laura Geller more but I personally find it to be more powdery and too shimmery for my liking. I can see the dust up as I swipe my fan brush on it and the shimmer is not as refined and I actually find it to highlight my skin texture. 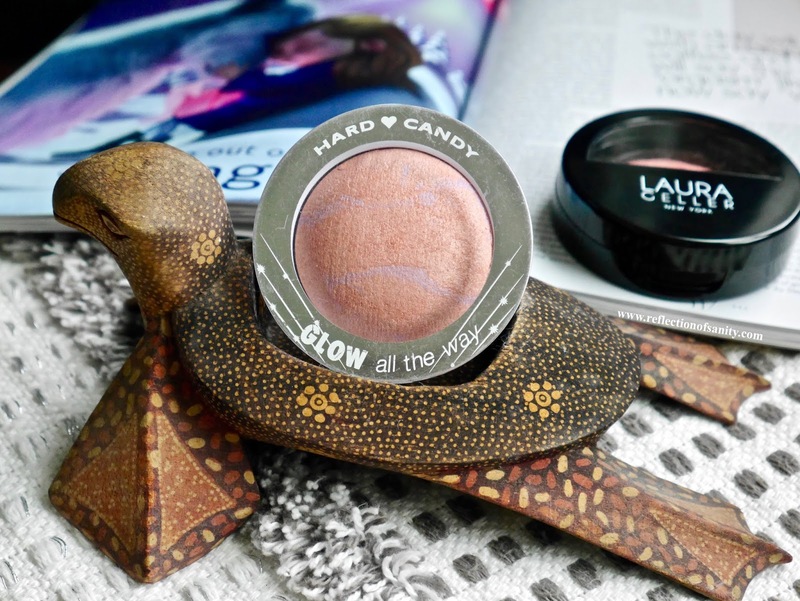 Hard Candy on the other hand is very similar in texture to my favourite baked highlighters/bronzers from the brand. It leaves a soft focus glow on the skin that looks natural and seems to glide over my skin textures. Performance wise both are equally long lasting and I only noticed fading at the 7-8 hours mark. Final verdict? Hard Candy Honeymoon* not only wins thanks to its budget friendly price, it also performs equally brilliant if not better than Laura Geller and suits my personal preference right to the tee. If you are new to blush toppers or are looking for a new one to try then I highly recommend trying Hard Candy. Many of their products are hit and miss but Honeymoon* is definitely a hidden gem waiting to be discovered.